For generations, 65 has been America's traditional retiring age. But for the baby boomers retiring at that age may not be realistic. According to a poll by the Associated Press and LifeGoesStrong.com, a website for the middle-aged, among baby boomers, 73 percent plan to work past retirement -- a number that's up six percent since March. "If things keep up, this is what we'll all assume," personal finance expert and CBS News financial contributor Carmen Wong Ulrich said. So why the shift in thinking? Wong Ulrich said, "Since the poll was taken in March and then the next poll was in early October before the gains of October, the Dow (Jones Industrial Average) was down 10 percent. So it's an additional big hit -- 62 percent of those surveyed said they took a big hit with one or many of their retirement vehicles. For example, in terms of IRA and their work IRAs, that they have lost on average 42 percent, 41 percent in personal investments and real estate -- we don't necessarily think about real estate as an investment -- but that's something that we have all depended on as a foundation; 29 percent of respondents ... have lost value and equity there." "Early Show" co-anchor Rebecca Jarvis added that a lot of people think of moving when they retire. And, all of the sudden, if you have a home that's decreased in value, either you can't move or you get less to retire on." Wong Ulrich said almost a third of respondents are considering a move. She said, "(They) will have to move in retirement to downsize to be able to afford to retire." However, Wong Ulrich says there are things people can do to prepare for retirement if they're closing in on 65. She said, "The usual plan is to withdraw four percent of the retirement savings. ... You've got to be more flexible with your plan. You can kind of react and adapt to what's going on in the market. So if four percent doesn't work for you, maybe you can go down to three percent for a year when the market is down. When the market recovers, go back up to four. Make sure someone runs simulations for you at least once a year so you can see if you are on track." "Also, what about your asset allocation?" Wong Ulrich said. "People think 65 is when the time bomb goes off. ... Guess what? You've got another 10 to 20 years, hopefully, that you can keep that money, hopefully recover it, even grow some, but it's if you have a 10-year window that you need the money, the money should not be exposed to the market. 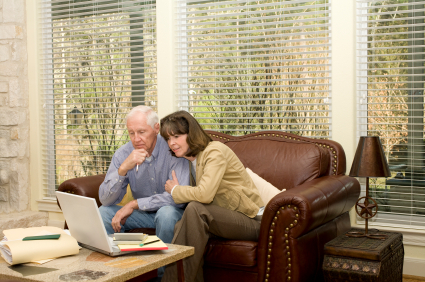 You have more time, so make sure the assets reflect the time frame for retirement." Wong Ulrich advised that people adapt. "Adapt your spending and saving habits. Really hunker down," she said. "Make sure you're up on technology. Use all the technology at your disposal to cut back on costs. Make sure you are saving automatically. Those are things that you can do to be pro-active about it, instead of just sitting back and staying with the same program."